In the last two years, Candida Kevorkian says she has gone to the emergency room three times from the stress of her job at San Francisco's Westin St. Francis Hotel. She says she is run ragged doing the work of two people. And she says she's not paid enough to stay in her South San Francisco home without help from her son and his family, who moved in to share her ever-rising rent payments. Kevorkian is the p.m. housekeeping supervisor at the St. Francis, a luxury hotel owned by Marriott, and one of 7,800 unionized hospitality workers voting this week on whether to authorize a strike against the big hotel chain. With their contracts expired and negotiations ongoing, the Unite Here union workers will hold authorization votes in San Francisco, Boston, Honolulu and Maui. No matter what, “We will fight until we get a fair contract signed,” says Kevorkian. In San Francisco, the nearly 2,300 housekeepers, dishwashers, servers, bartenders, cooks and bellmen at seven Marriott-owned hotels -- the St. Francis, the W, the Marriott Union Square, the Palace, the Marriott Marquis, the Courtyard San Francisco Downtown and the St. Regis -- will take part. San Francisco’s 25 million annual visitors contribute well over $9 billion to the economy, the San Francisco Travel Association says. 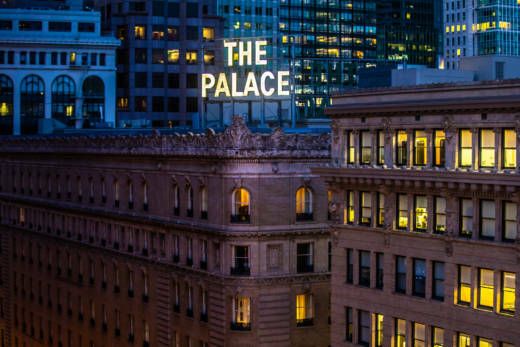 According to Unite Here, Local 2 workers are working at Marriott-operated hotels representing 15 percent of San Francisco’s 33,000 hotel rooms. The median income of a Local 2 housekeeper is $44,000, says Unite Here. That's low in a region where the federal government recently said a family of four earning as much as $117,400 could be classified as "low-income." Marriott International said in a statement last week that it has conducted good faith negotiations with the union and that it is still "hopeful that we will reach an agreement on a new collective bargaining agreement without any strike activity." The company said the hotels will continue to operate even in the event of a strike. The last major hotel strike in San Francisco took place in September 2004. Back then, Unite Here leaders called for a two-week strike at four hotels. In response, management at those hotels and 10 other unionized hotels locked workers out in a standoff that lasted two months. The two sides eventually agreed on a contract in 2006. It granted workers higher wages, better pensions and full health care benefits, according to Unite Here. Kevorkian says a major issue is her team's workload. She manages as many as seven housekeepers, who together clean more than 100 rooms a night. That's too many rooms for too few workers in too short a time, she says. To help cope with the stress, Kevorkian says, she takes an anxiety medication her doctors prescribed to get through her workday.